Yesterday, (June 21), it was reported the alleged murderer of XXXTentacion had been detained by police and was in custody. The man arrested was named as 22-year-old Dedrick D. Williams. The Broward’s Country Sheriff’s Department announced on Thursday, Williams was arrested for allegedly fatally shooting XXXTentacion in a botched armed robbery. Following the incident, the Broward County Fire Department said the rapper was rushed to hospital. Other witnesses, who were at the scene, claim to have heard multiple shots fired, report TMZ. Onfroy was said to have been shot as he was leaving a motorcycle shop in South Florida. While he was leaving the dealership, it’s reported an unidentified gunman, now believed to be Williams, approached his vehicle and shot him. Just two days after the shooting, Williams posted a threatening message on Facebook, warning people not to make him angry. Don’t piss me off u will never know wats next ???? Williams, who’s been quite active on social media, appears to be a dad of two and worked as a tattoo artist under the name ‘Tattooman Chucky’. 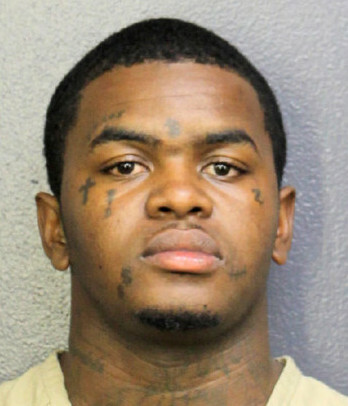 He was arrested on Tuesday night, (June 19) in Pompano Beach, South Florida according to reports. The day after the shooting, his track SAD! amassed 10.4 million streams, according to Pitchfork, beating the global record for the most Spotify streams in a single day – a record previously held by Taylor Swift, which was 10.1 million for Look What You Made Me Do. Our thoughts continue to go out to the family and friends of Jahseh Dwayne Onfroy.